I sometimes worry that gardening will fade in popularity in the way that sewing has. Growing up my Mom made all our clothes, but who does that any more? Sadly, sewing increasing seems to be a lost art. 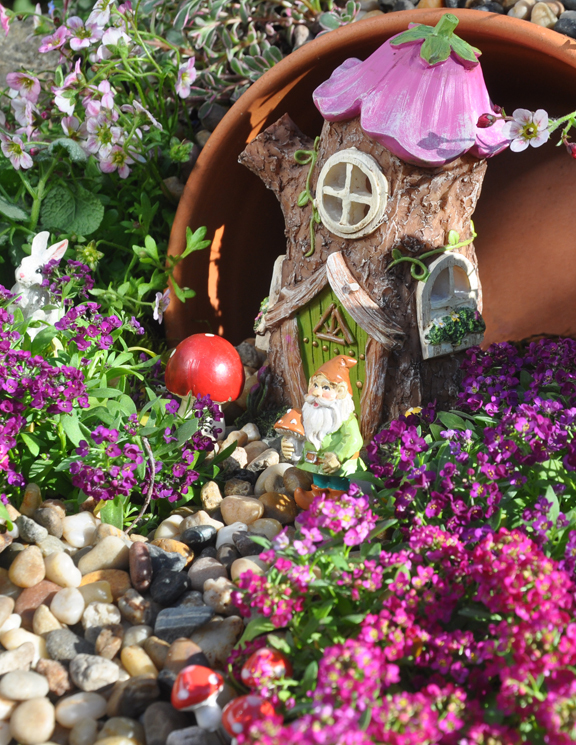 Experienced gardeners need to encourage a new generation of gardeners and I think fairy gardens are a project that appeals to young and imaginative minds. 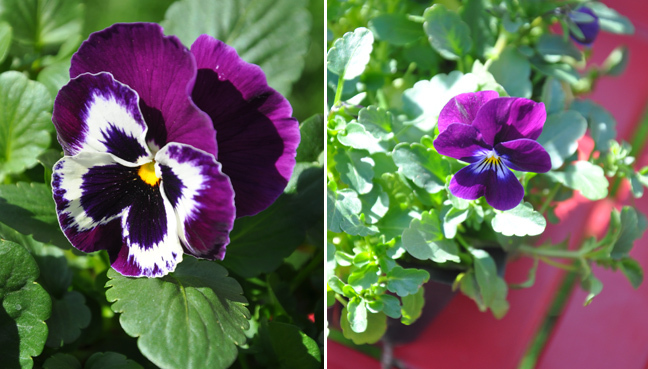 Note: I also had purple violets and forget-me-knots blooming in the same area as I created my spilled pot. 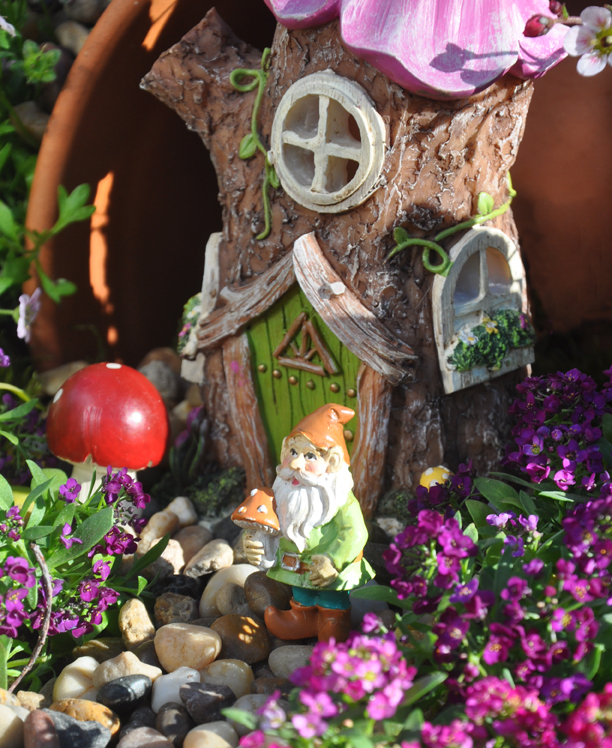 Step 1: This project works best, if your garden has a bit of a slope. 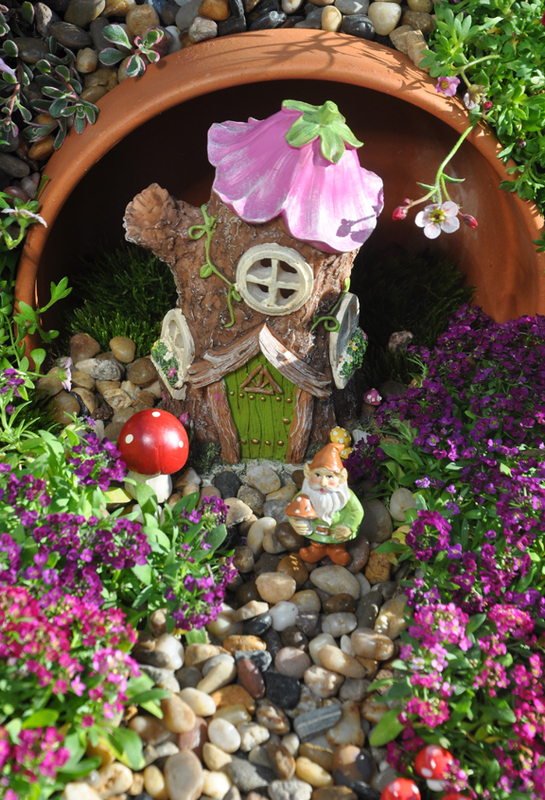 With your garden trowel, inset the pot into the slope and fill the bottom third of the pot with dirt. Step 2: Disguise the dirt in the bottom section of the clay pot with a pieces of dried green moss (available at a craft store). 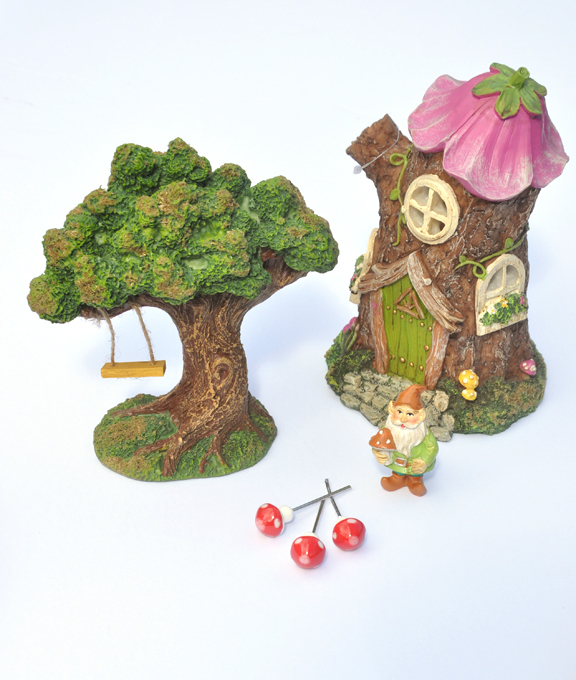 In the picture above you can see the moss peeking out just behind the gnome's little house. 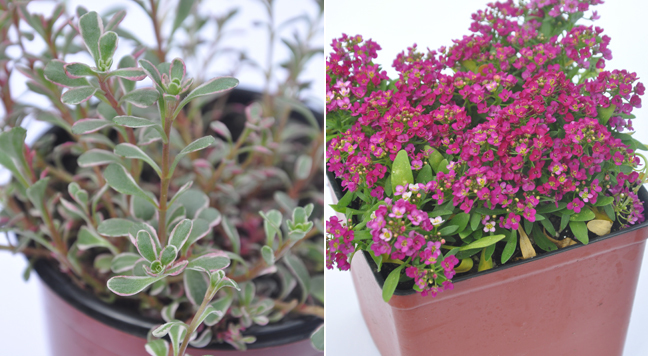 Step 3: To create a low groundcover in front of the clay pot, I used a two pots of magenta and two pots of pink Alyssum. 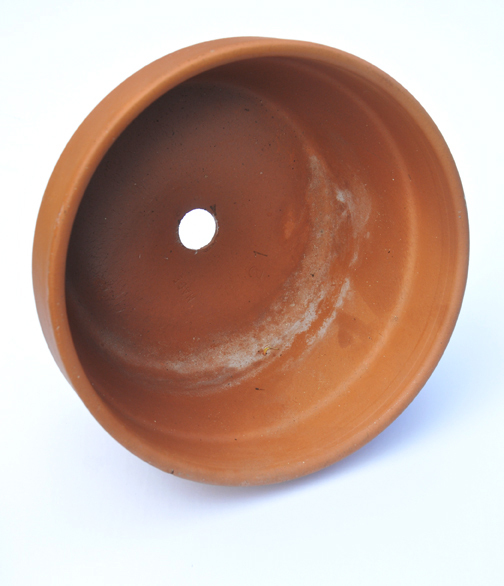 Leaving space for a central pathway, plant the Alyssum to the left and right of the clay pot. 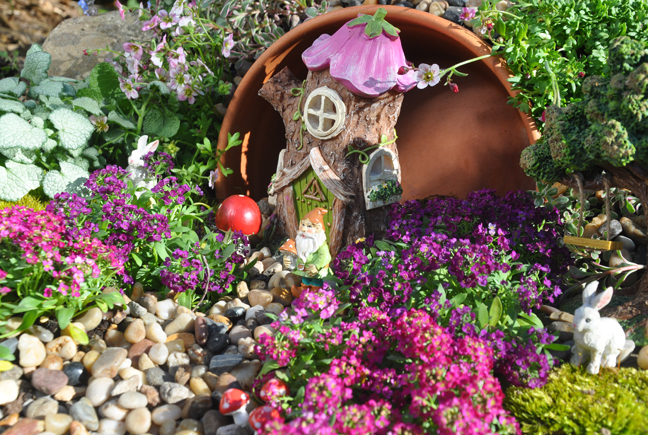 Step 3: Plant your choice of annuals or perennials around the outer perimeter of the clay pot. 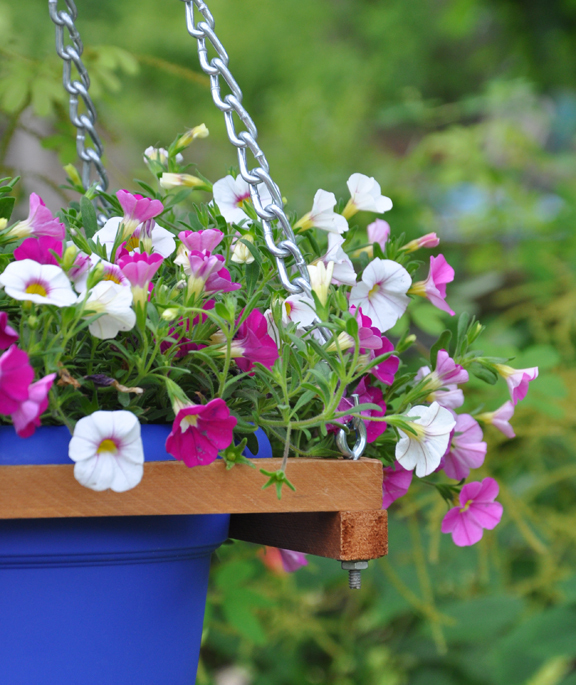 Annuals will give you the best color throughout the gardening season. I used Lamium 'White Nancy', which has wonderful silver-green foliage. I also used a couple of unidentified groundcover Sedums that were inexpensive at Walmart. 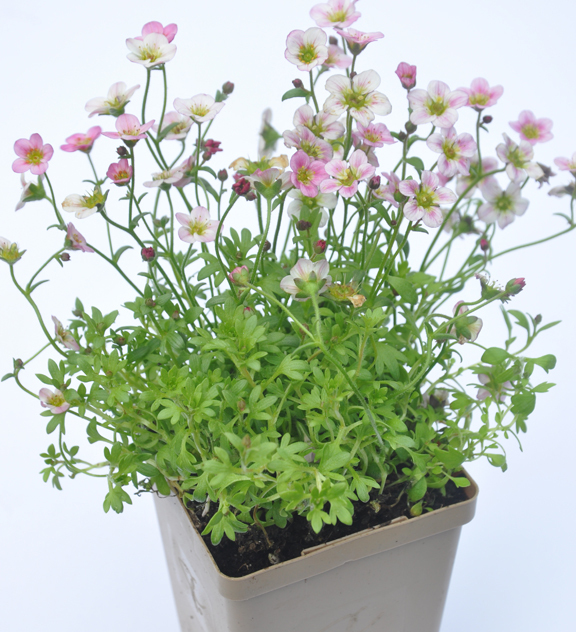 Finally, I planted two pots of Saxifraga rosacea, which has delicate, daisy-like flowers. Planting note: The Sedum and the Saxifraga like good drainage, so I worked some fine gravel into my soil when planting these perennials. Step 4: To make the pathway, I used decorative pebbles that I got at the Dollar Store. I placed a sprinkling of pebbles on the upper rim of the clay pot to cover any bare earth. 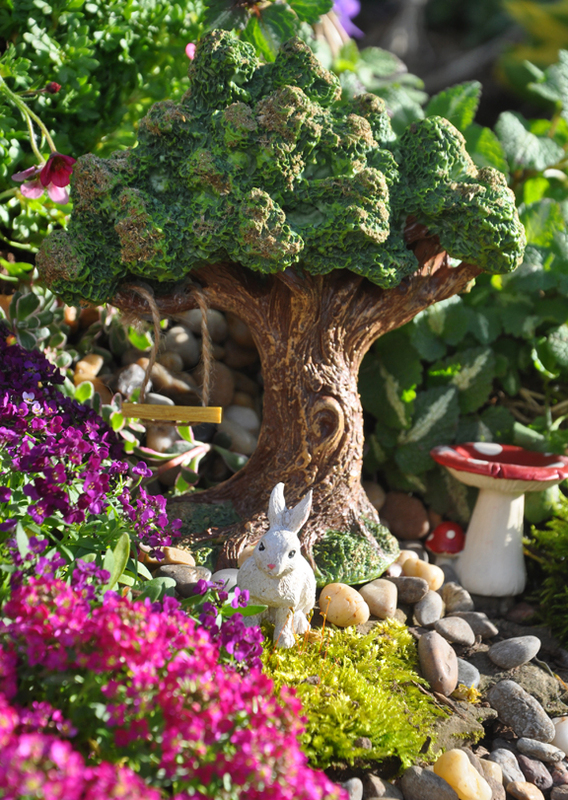 My props included a tree with a tiny swing, a few miniature mushrooms and two white rabbits. The flowers on the Saxifraga rosacea will fade, but the plant itself should make a nice green mound. If it doesn't hold up in the heat of summer, it may be something I have to replace. 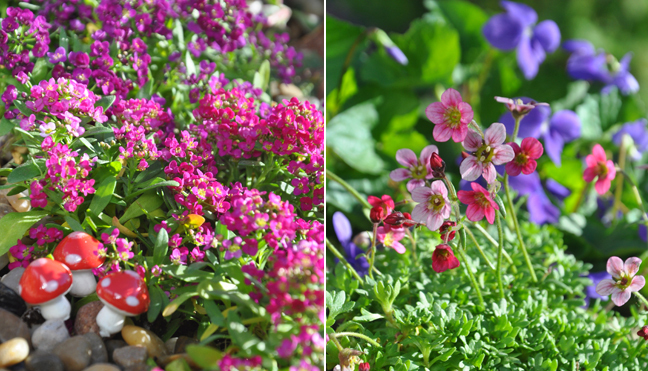 The perennials should do fine and the annual Alyssum should provide color right into the fall. Last year my husband and I installed a large shed at the back of our property. For my husband the shed is a useful structure where he plans to do his woodworking, but for me it is a big, grey, box in the middle of my garden. It may be utilitarian structure, but I want it to be at least a little bit pretty! So I came up with this super easy window box idea that takes mere minutes to make up and install. The best part about this project is there is no woodworking involved! 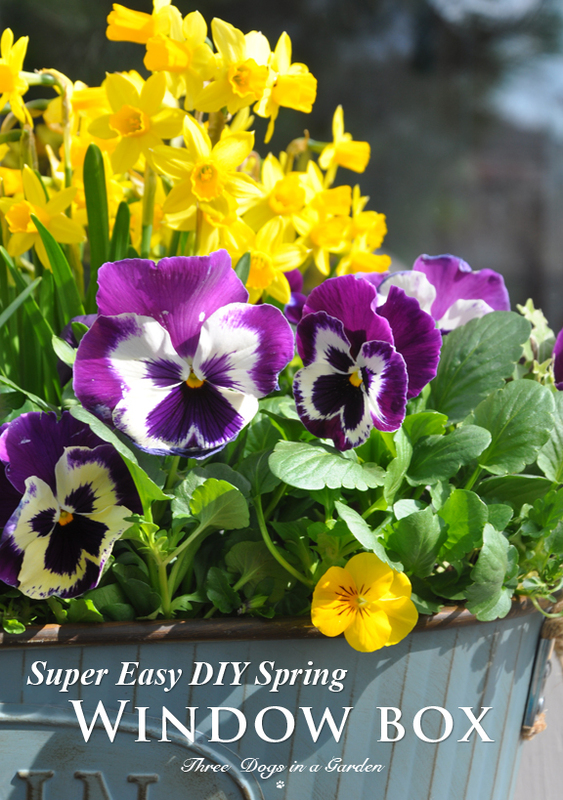 Anybody who has access to a power drill can make this window box! 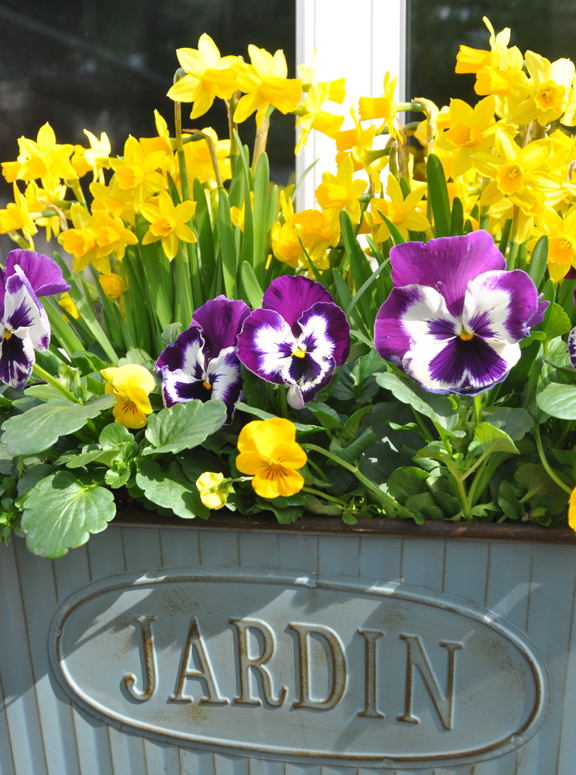 Long metal troughs seem to be everywhere this spring. 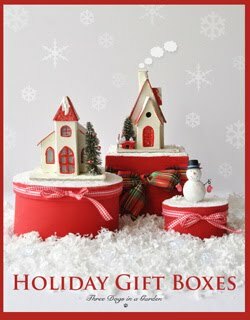 I have seen them at Walmart (under $10) in the housewares department and at the Dollar Store (only $4!). 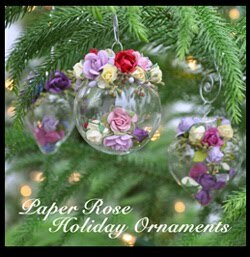 The one I used for this project is available at Loblaw garden centres here in Canada ($15). The metal troughs at Walmart and the Dollar Store are unpainted, but you could easily get some multi-surface spray paint and fancy-up a plain trough. 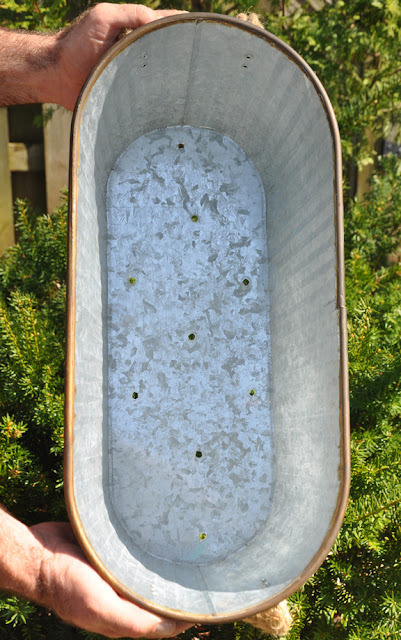 To prepare your trough for planting, take a metal spike (or a large nail) and hammer holes into the bottom for drainage. As you can see here, my husband punched a good number of evenly spaced holes into the bottom of the trough to insure my plants would have good drainage. The window box is at the back of the property well beyond the reach of a garden hose so I used Miracle Grow's Moisture Control Potting Mix. 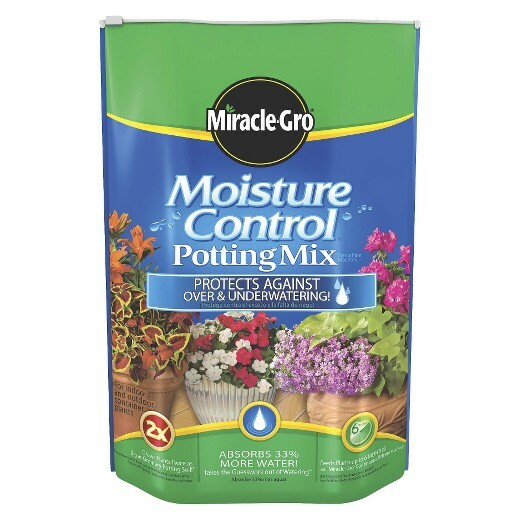 It absorbs up to 33% more water than basic potting soil. I will still have to lug a watering can to the back of the property to water the container planting, but at least I will have to do it a little less often. Planting up the trough took less than ten minutes. First, I filled the trough with a generous layer of potting soil (about half to three-quarters full). Then I placed the 2 pots of daffodils, plastic pot and all, at the back of the trough and worked them snugly into the soil. This may sound like an unorthodox way to plant up a window box, but I have a good reason for not removing the daffodils from their plastic pots. The daffodils will look great for a few weeks. Then the flowers will start to fade and the foliage will start to brown. 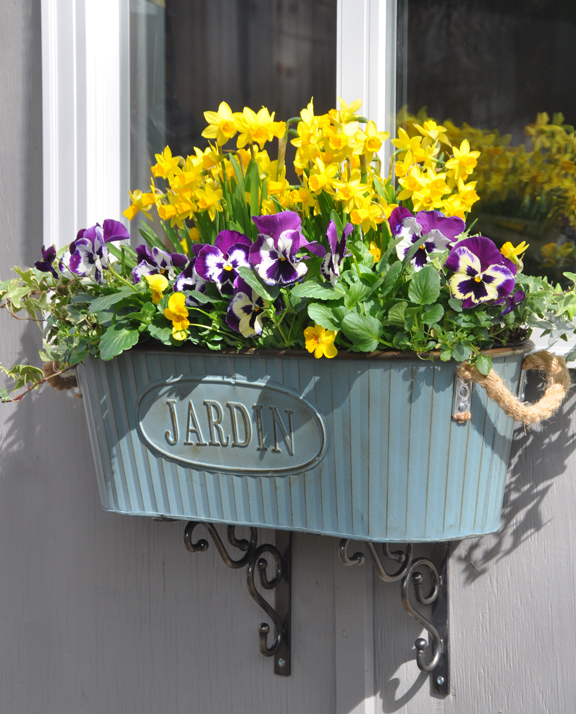 Before my window box begins to look tattered, I want to remove the two pots of daffodils and replace them with something else (most likely some other annuals that I'll buy at a garden centre). 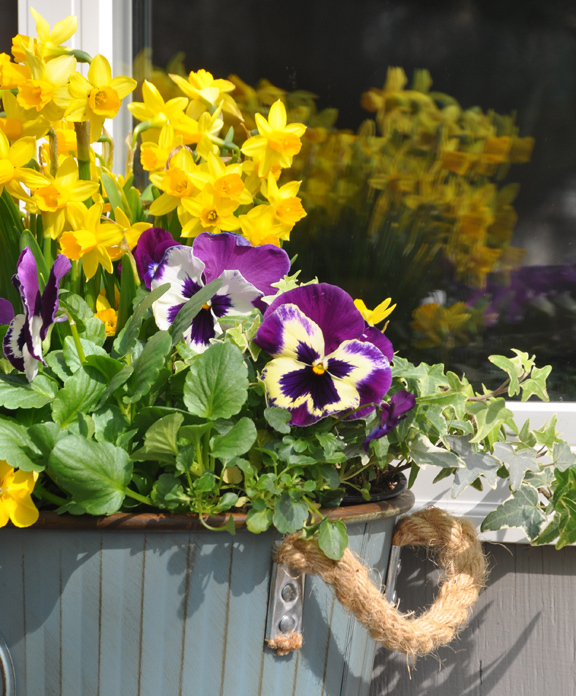 Leaving the daffodils in their plastic pots will make them easy to lift and remove. The daffodils won't be wasted. I'll remove them from the pots and plant them out somewhere in the garden where their foliage can die back naturally. With any luck, they'll bloom in the garden next spring. 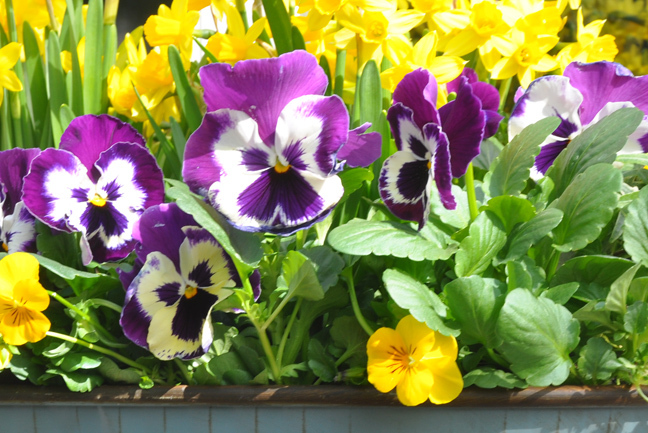 Once the pots of daffodils were in position, I planted the pansies, violas and ivy as you would do normally– making sure there were no air pockets in the soil between my plants. 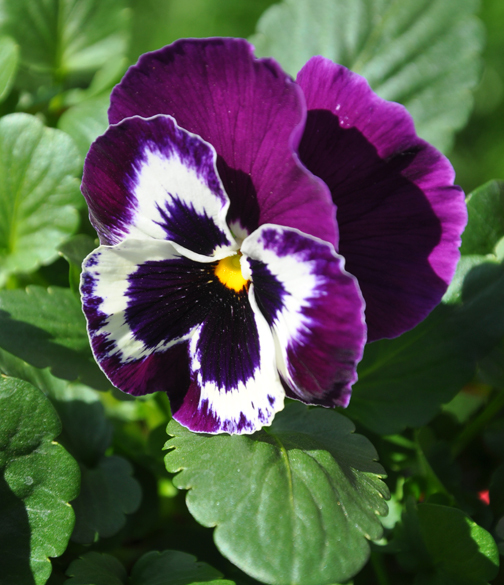 The pansies and other plants should look great well into summer. At that point, I may or may not want to freshen up the window box to see me through the rest of the season. 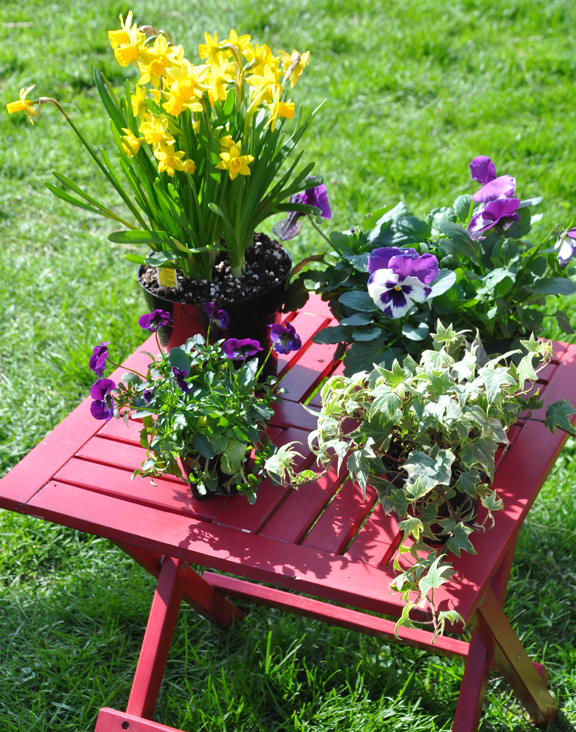 Once it's all planted up, installing your window box couldn't be easier! I purchased two 8 inch metal brackets at Walmart (Note: the size of your brackets might vary slightly depending on the size of your trough). My husband installed the brackets with his drill and a few screws. 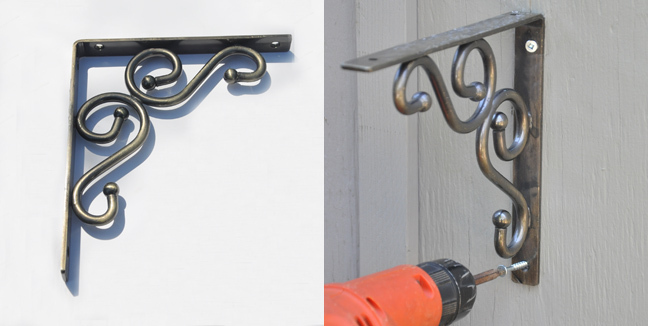 The handles on my trough made it a snap to lift the window box into place on top of the two brackets. 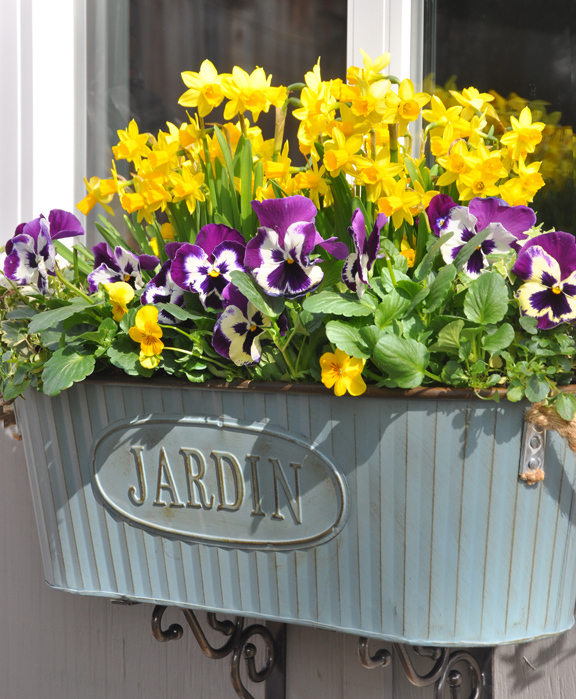 Even if your metal trough has no handles, it should still be a simple job to put the window box into position. 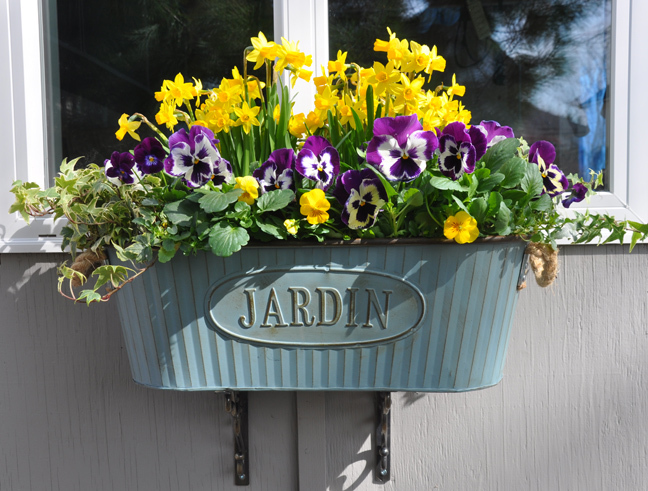 The weight of the container planting is enough to hold the window box in place. 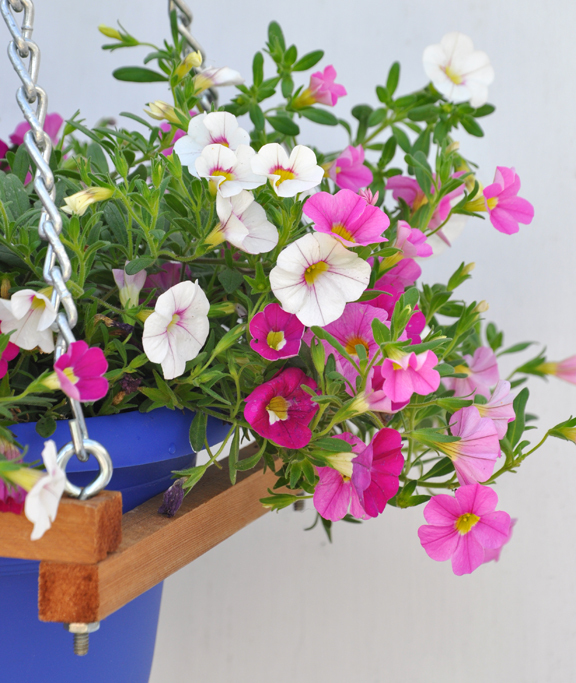 Watering the window box is easy too. Surplus water will run through the drainage holes in the metal trough to the ground below. No rotting wood! I am super pleased with how this project turned out. It makes the utilitarian shed fit nicely with the rest of my garden. 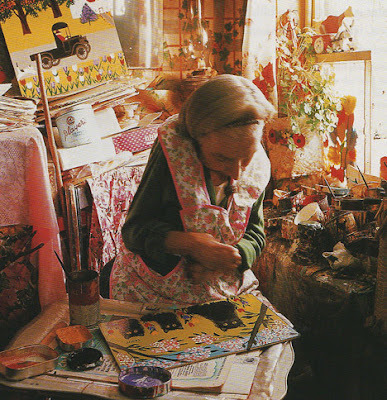 There is a new movie out about the life of Maud Lewis. To celebrate the movie's release and the life of an amazing woman, I am republishing this post. Though Evertt Lewis' gaunt face and rail thin body seemed frail, his bright eyes had the sly look of a hustler about to make his mark. He shifted through a messy pile of assorted household objects and pulled out a thin art board, wrapped roughly in old newspapers and presented it to my father. Evertt explained to my father that all of his wife's paintings had sold in the time since her death, but he had a painting of his own that he could sell to us. 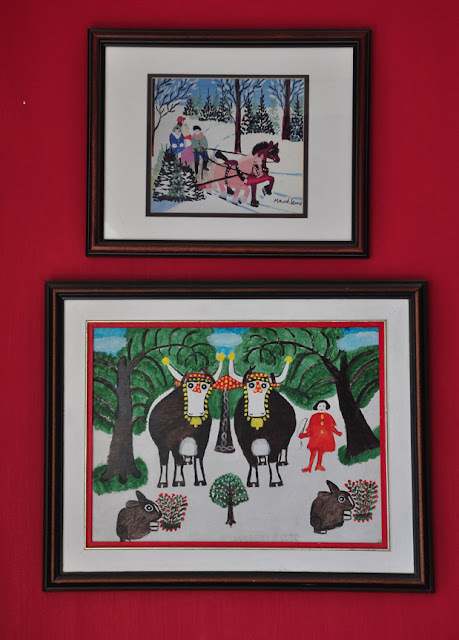 My father unwrapped the old newspaper, revealing a winter scene of two yoked oxen painted in near perfect mimicry of Maud's by then well known style. Maud's paintings very often included the figure of Evertt, so when Evertt did his own paintings, he sometimes included Maud. In the winter landscape Evertt showed my Dad and I, Maud could be seen standing beside the two oxen in her red coat. In the foreground, there where two identical brown rabbits munching on matching shrubs laden with red berries. Evertt was not been able to figure out how to properly mirror the rabbits on either side of the artwork, so he simply painted the same bunny twice. At the bottom of the thin art board was his signature written in an uneven, childlike hand. Twenty dollars - that's what he told my father he was asking for the painting. 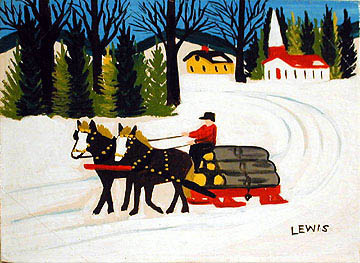 If my father was disappointed with the fact it was not a Maud Lewis original, he did not show it. He handed Evertt a twenty dollar bill and chatted respectfully with the old man. Maud in her red coat. She uses the coat's large floppy sleeves to hide her hands, which were crippled and deformed by rheumatoid arthritis. 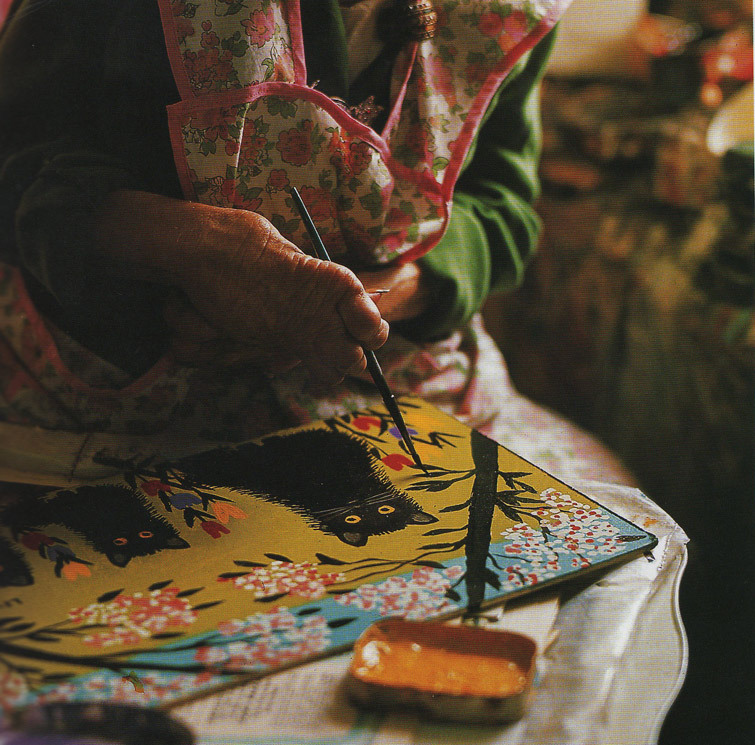 Photograph by Bob Brooks from the The Illuminated Life of Maud Lewis. permanent display at the Art Gallery of Nova Scotia. Standing behind my father, I looked up from the painting into the gloom of the tiny, one room house. Actually, it was more of a cottage than a house, measuring not much more than 10 feet by 12 feet. 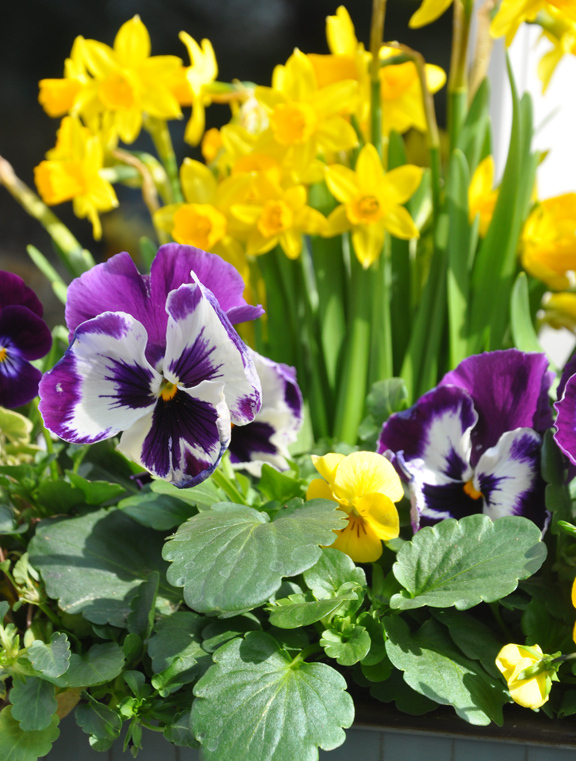 The cheerful spring flowers, birds and butterflies, which were painted on the interior walls and window panes seemed out-of-step with the messy stacks of papers and other household things that littered every flat surface and filled every corner. The furniture consisted of a ragtag assortment of wooden chairs, a table and a daybed. In one corner, a large wood stove painted with bright orange and red flowers, provided the only heat for the house. There appeared to be no bathroom, no running water, no electricity or phone. The low-hung ceiling, not much above my father's head, pressed down on the whole scene and made me feel claustrophobic and anxious. At that point in my young life, I was thinking of studying art in college and then finding a way to earn a living as an artist. It made me wonder if my father had organized this visit as a cautionary tale. I couldn't wait for the conversation to end so we could leave. Not long after our visit that summer afternoon, Evertt was murdered. Rumours had spread through the local community that Evertt, well known for his frugal ways, had money in a jar buried in the garden or stashed under the floorboards of his house. A young man broke into the house hoping to make off with some cash and Evertt died in the struggle. 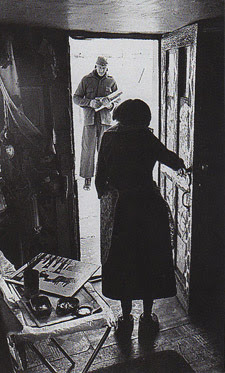 Evertt gathers firewood for the stove, while Maud watches from the doorway. Photograph by Bob Brooks from the Illuminated Life of Maud Lewis. What makes the lives of Maude and Evertt Lewis so remarkable is that, out of physical hardship and extreme poverty, was born the most joyous artwork imaginable. The story of Maude's charming paintings really began when Maud met Evertt. Over the years, Evertt told a number of different stories about his courtship with Maud. In the version he liked to repeat most often, Maud walked all the way from her aunt's home in Digby, Nova Scotia to his one room house in answer an ad. Evertt, a forty-four year old bachelor at the time, had placed the ad in local stores looking for a housekeeper. Apparently Maud refused to be a live-in housekeeper and insisted that they would have to marry, if she were to come to keep his house. As Evertt tells the story, he was initially undecided about her proposal. His dog, on the other hand, was "... a pretty sharp dog, who wouldn't let anyone into the house. But when Maud came, he never said a word." The more likely story is that Evertt met Maud when he came to the door of her aunt's home peddling fish. Maud was flattered by his attentions and impressed with his black model-T Ford (the black car figures in many of Maud's paintings). Maud had been born with multiple birth defects that left her shoulders unnaturally sloped and her chin resting on her chest. As a child, Maud was often mocked by other children for her deformities. Her school attendance was irregular at best, and by the age of 14, she left school having completed only grade 5. In the mid 1930's Maud's life took an unhappy turn, when her father passed away, followed by her mother two years later. Then Maud became pregnant. As with many an unwed mother in the 1960's, Maud was sent in shame to a rural home to give birth to her baby in secrecy. After the baby was hastily put up for adoption, Maud's only brother Charles banished her to live with an aunt in the small town of Digby. Charles never saw or spoke to his sister again. Maud did not let nature limit her representations of the world around her. In this painting, there are trees with brightly colored fall leaves in a winter landscape. 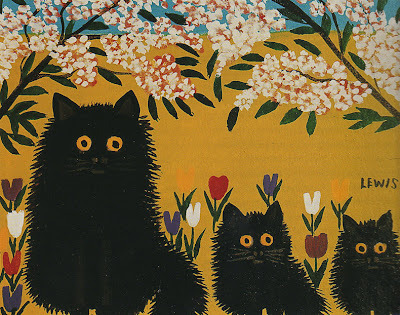 From the Illuminated Life of Maud Lewis by Lance Woolaver. Maud and Evertt married in 1938. Maud was pleased and proud to be a married woman despite the fact that Evertt lived in relative poverty. While her own childhood had been a comfortable one filled with loving parents, pet cats, music and art, Evertt had not been so lucky. As ward of the local county, he was boarded out to local farms, where he received food and lodging in exchange for work. This childhood experience taught Evertt to be a resourceful scrounger. He caught fish in nearby tidal pools and bartered the fish for produce. He dug for clams, trapped rabbits and grew his own vegetables in a small garden plot behind his tiny house. If Evertt was hoping his new wife would do the cooking and the cleaning, he must have been disappointed in married life. By the time she wed Evertt her mid-thirties, Maud's hands had become so deformed by arthritis, she could barely grasp a paint brush in her fingers. 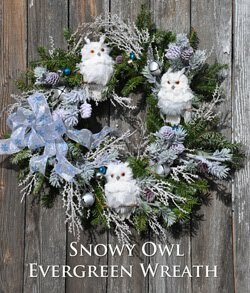 As a child, Maud's mother Agnes had taught her how to paint Christmas cards, which they then sold door to door for five cents a piece. As she grew older Maud found cards time consuming, and they required finer work than her hands would allow, so she switched to painting. Maud began each painting with a pencil sketch and then filled in the shapes with quick strokes, one hand supporting the other hand that held the paint brush. She painted the same scenes again and again like favourite songs: a yoked pair of oxen, horse drawn carriages, cats, birds and flowers. 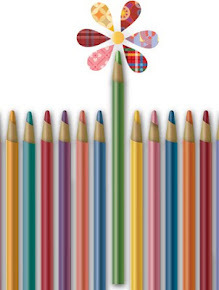 What is so lovable about her crude style is the bright colors and the underlying humour. When she was in her mid-sixties, Maud's health fell further into decline. She died in 1970 and was laid to rest in a child's coffin. By then her paintings had achieved notoriety through a series of articles in newspapers and magazines, as well as a feature on the CBC television program Telescope. Evertt lived on another 11 years after Maud's death. During that time he became increasingly eccentric and suspicious of the world around him. 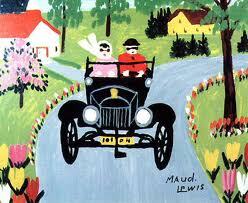 Apart from his old age pension, the painting Maude did before her death were Evertt's only source of income. 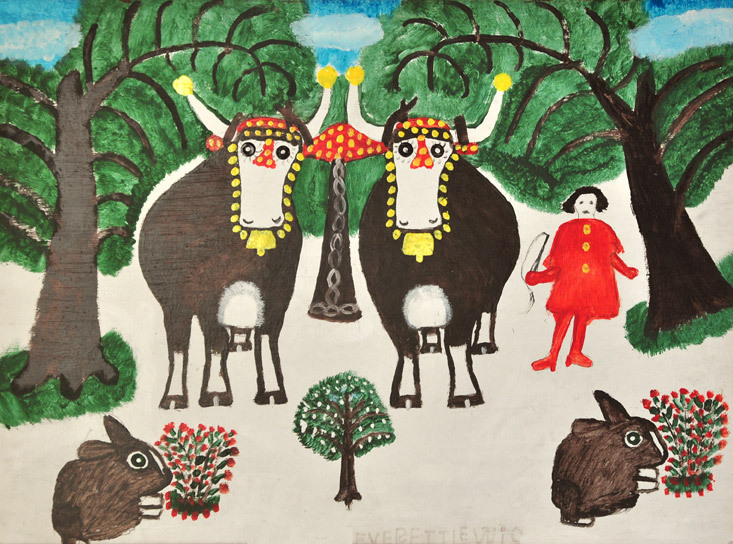 When the last of her paintings had been sold, Evertt began to paint his own artwork. The painting of the two oxen was one such creative endeavour. Years after my father and I paid our visit to Maud's and Evertt's tiny house, I had stumbled across a trendy store in a well-to-do area of downtown Toronto. 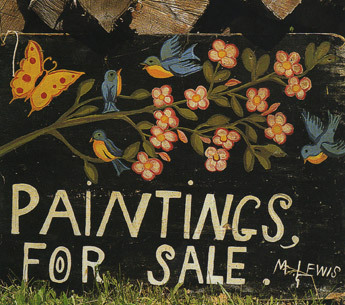 I stopped dead in my tracks, when I spotted, on the wall behind the sales counter, two paintings by Evertt Lewis. One was priced at $7000 and the other was $9000. I thought back to the our visit to the little house and to the painting that my father had purchased for $20. Wouldn't Evertt, that sly old fox, have driven a harder bargain if only he had known what the painting would worth one day! The painting that my Dad purchased hangs in my dining room below a small print of one of Maud's winter scenes. I felt that their artwork should be together after all. This is a beautifully written book and my principal reference for this post. 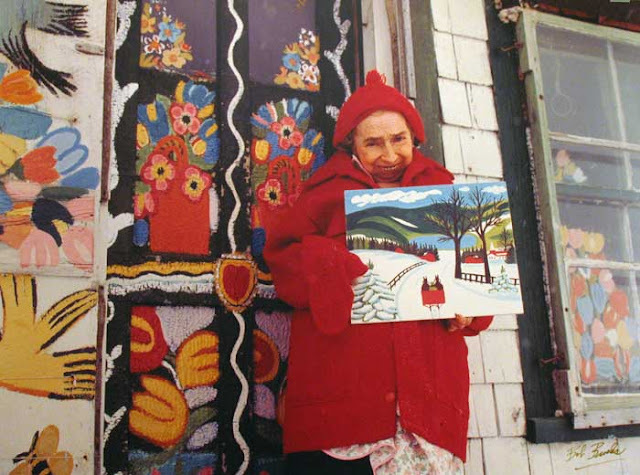 Here are the publisher's notes: Maud Lewis (1903-1970) was recognized and revered in her own lifetime, She offered her endearing images to the passing world through her roadside sign, "Paintings for Sale" and was rewarded by the enthusiastic response she received from both the community and tourists as well as from art collectors. 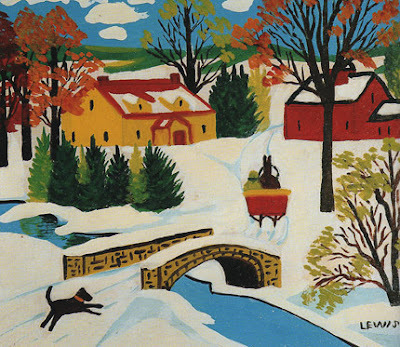 For many years, Maud Lewis was one of Nova Scotia's best-loved folk painters. 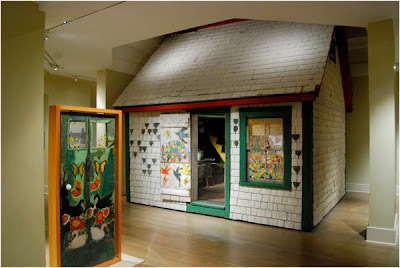 Between 1938, when she married Everett Lewis, until her death in 1970, Maud Lewis lived in a tiny one-room house near Digby, Nova Scotia. 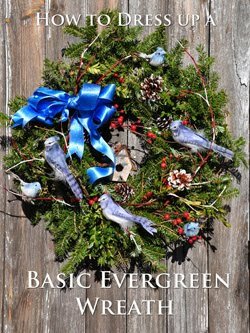 Over the years, she painted the doors inside and out, the windowpanes, the walls and cupboards, the wallpaper, the little staircase to the sleeping loft, the woodstove, the breadbox, the dustpan, almost everything her hand touched. This type of pot hanger is not particularly a new idea. Variations on this theme have been around for years. 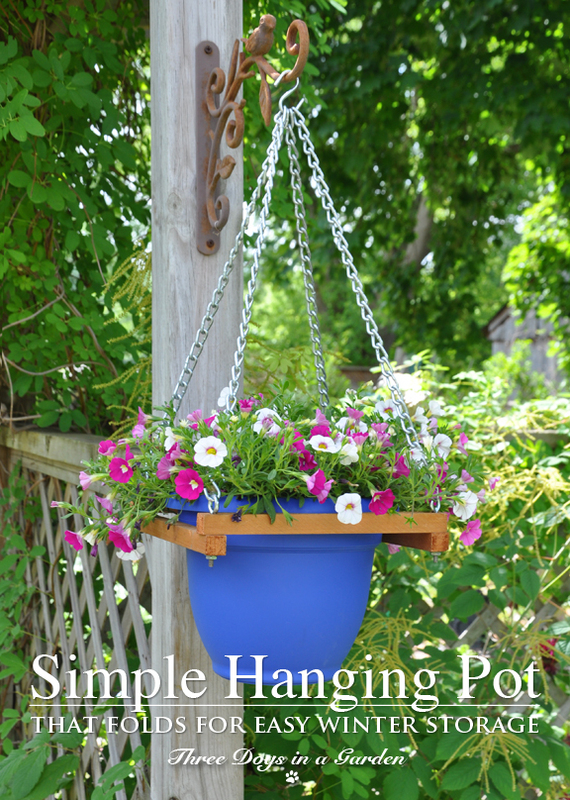 The advantage of our version is the quick way the whole pot hanger can be collapsed for easy winter storage. At the end of the season, simply take down the hanger and remove the plant pot. 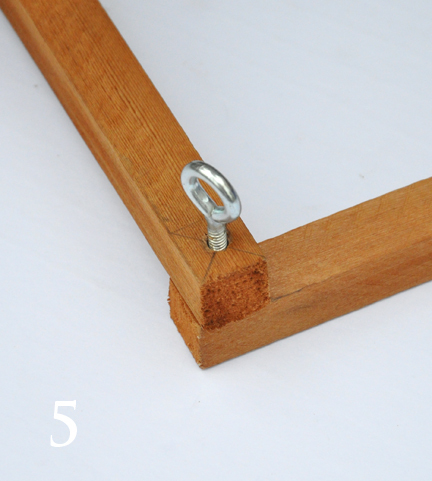 Next, loosen the nuts on the eye-bolts on all four corners of the wooden frame. 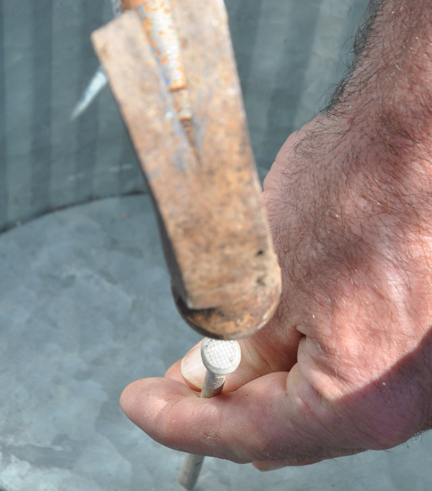 Remove an eye-bolt from one of the four corners. Fold the frame like a fan. 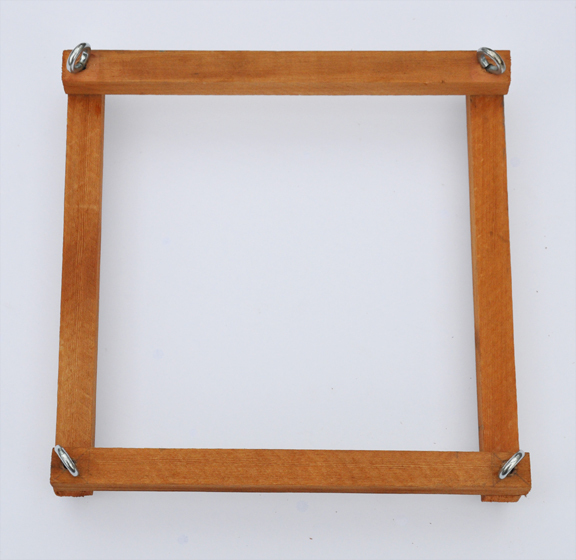 Reattach the eyebolt loosely to one of the corner pieces (just so it is less likely to go missing when you store the frame). 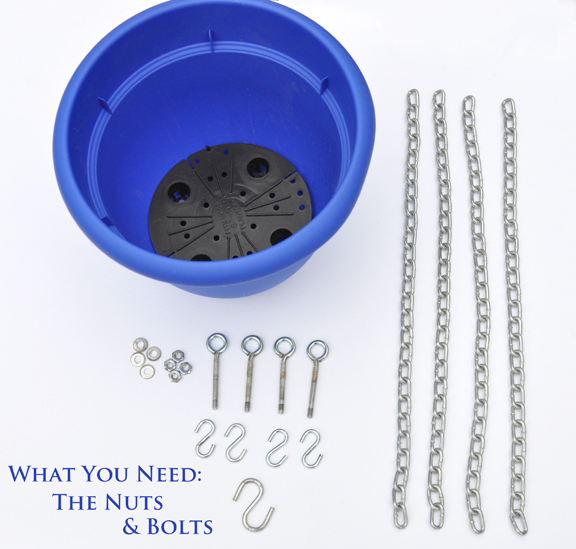 Place the chains, the S-hooks and the folded wooden fame inside the clean, empty plant pot. Store the compact unit it away for the winter. I don't recommend a terra cotta pot. It's likely to be too heavy. 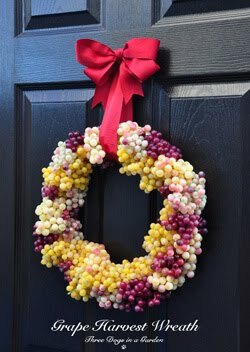 I recommend a plastic pot with a lip for this project. The lip sits on the cedar frame and holds the plant pot in place. Pots with lips are pretty common, so I don't think you should have any difficulty finding one. I found the blue plastic pot you see here at the Home Depot for under $10. Do yourself a favour and don't try to cut the chain yourself. It is hard to do unless you have really sharp cutters! 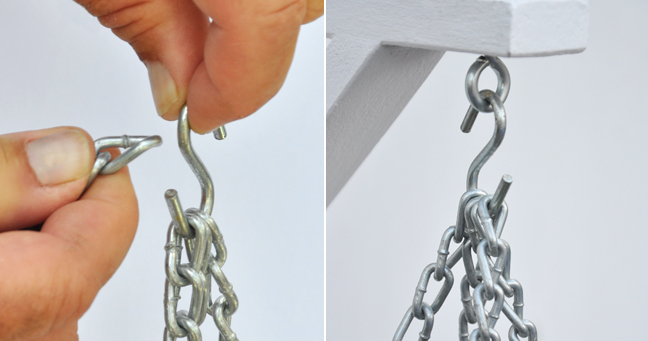 Ask the retail assistant at the hardware store to cut you four 14" lengths of half-inch sized chain. 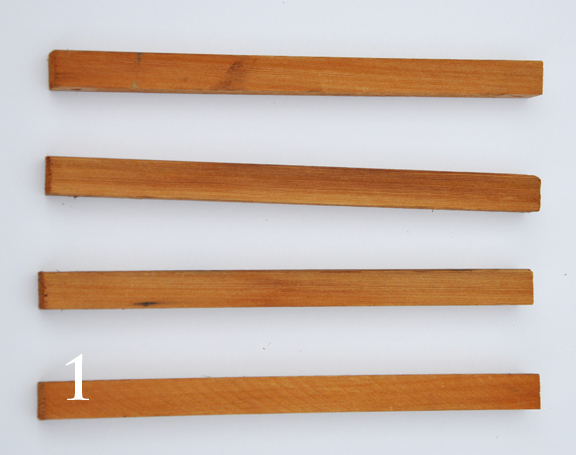 Step 1: Cut four 9.25" lengths of cedar (1" x 1" cedar boards). Step 2: Place one piece of cedar on top of another and square the side and end of the boards as shown. 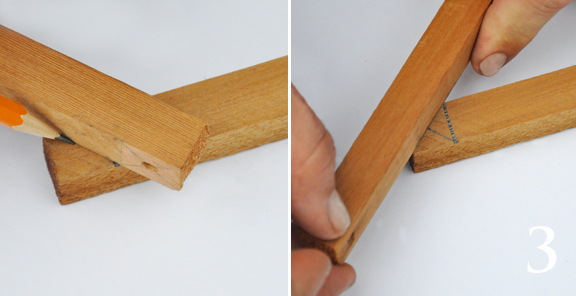 Use the top piece of cedar to mark off a square on the bottom piece. 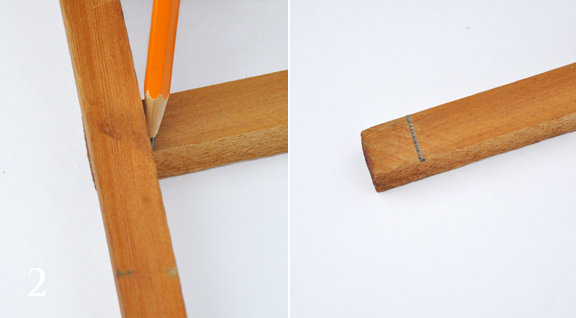 Repeat the process marking a square at each end of all four pieces of cedar. You will have 8 squares marked off (one at each end) when you are done. Next we need to mark the centre of each corner square. 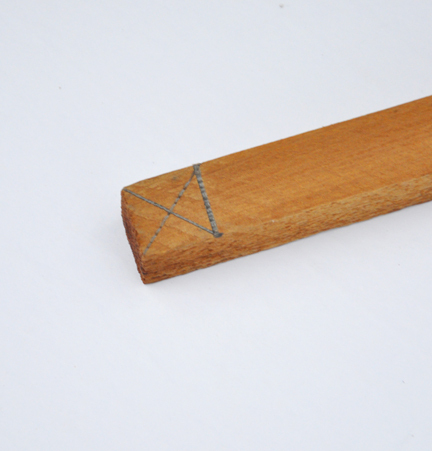 Repeat the process of marking diagonal lines on each corner of the four pieces of cedar. 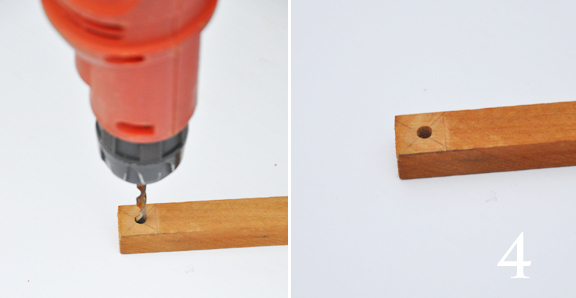 Step 4: Drill a hole at the centre of each X. You should have 8 holes when you are finished. 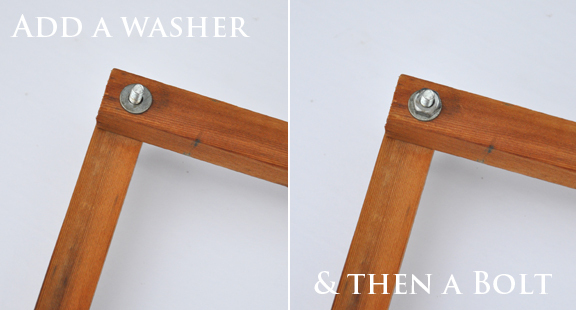 Turn the wood over and place a washer and bolt on the end of the eye-bolt. Tighten them as necessary. Repeat the process until you have all four corners together. 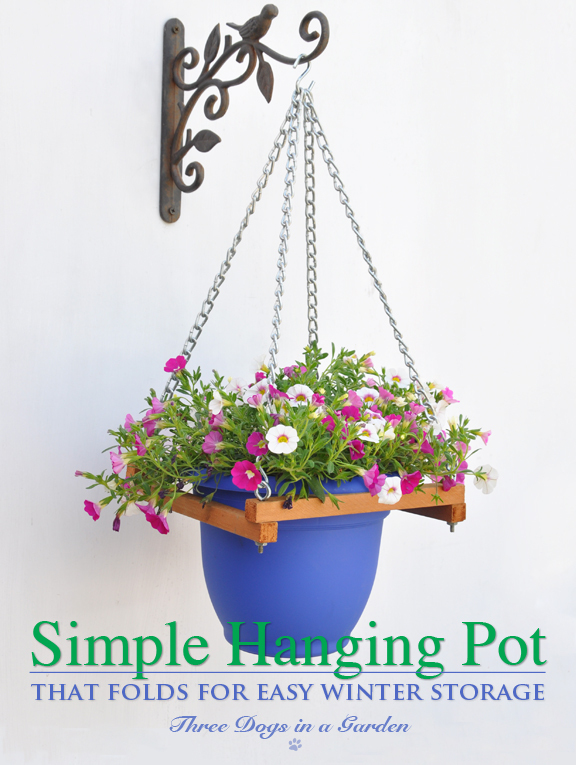 Place the plant pot into the frame and hang your finished project. I left my S-hooks open and found the hanger worked well all summer. 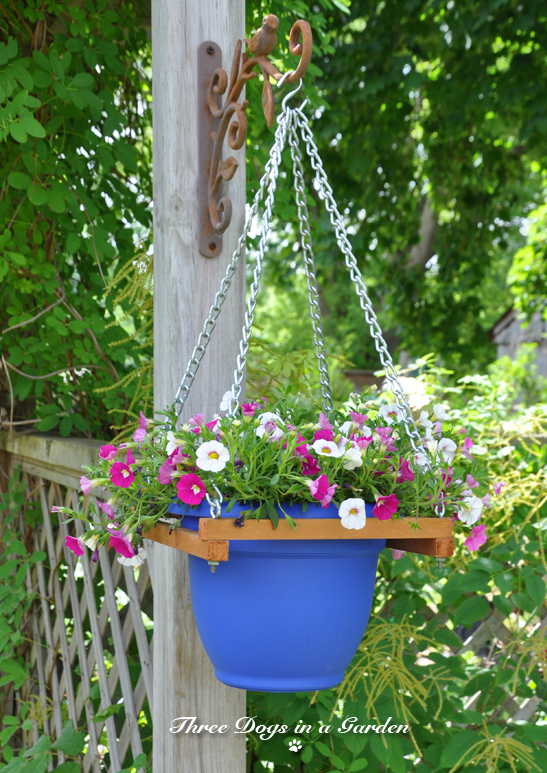 If you want to be able to remove the pot to deadhead the flowers or to water the plant however, you may find that it is better to close the S-hooks with a pair of pliers. 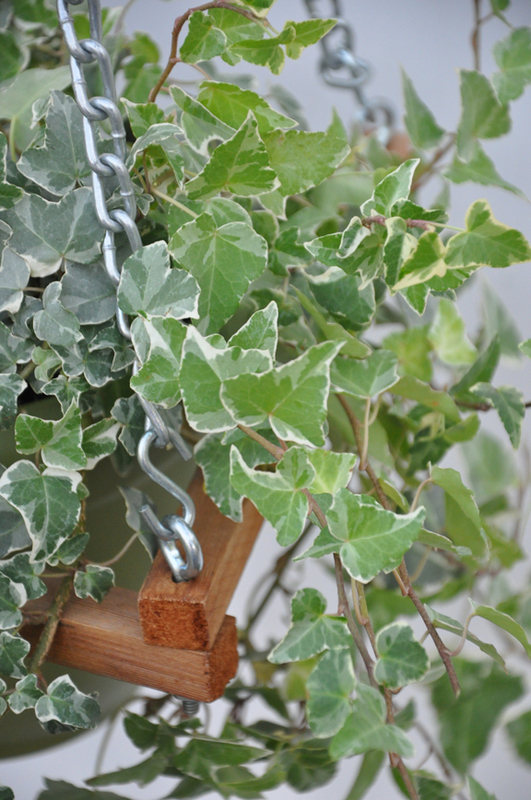 The hanger is great for outdoor plants, but there is no reason you shouldn't be able to use it for indoor plant as well. 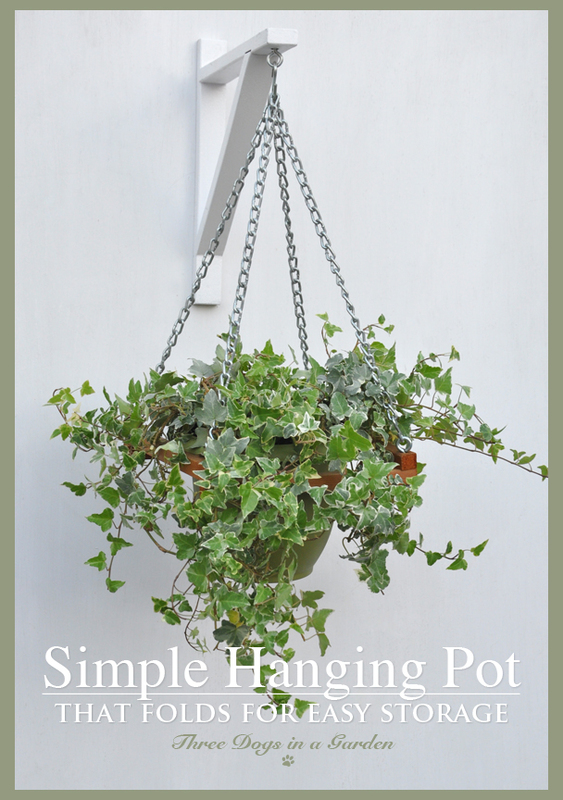 Here I used a hanger for a pot of ivy. 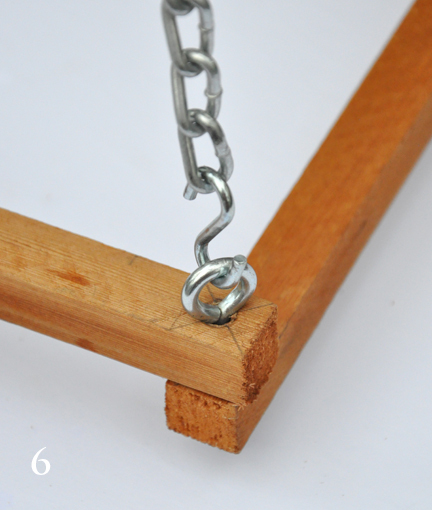 This project is easy-to-do with minimal carpentry skills. 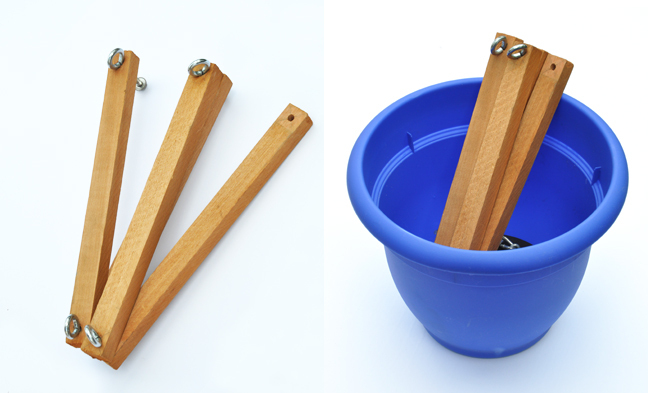 Not only does the pot hanger come together quickly, it looks attractive too! 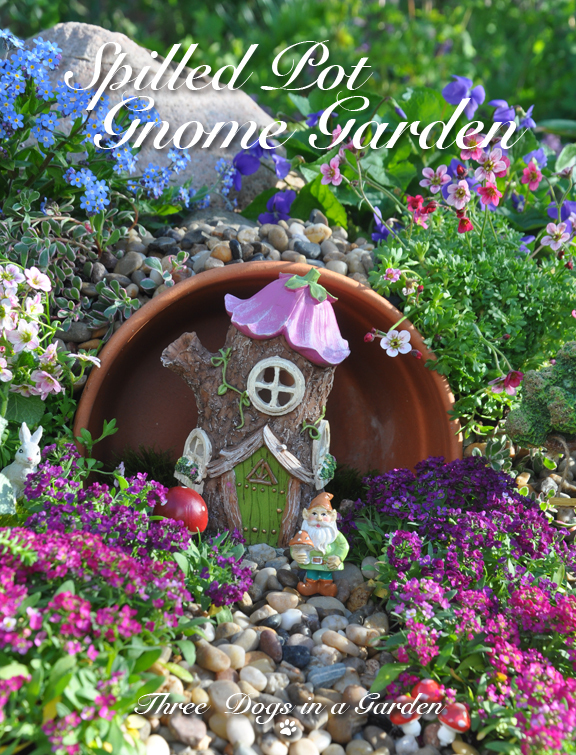 To return to the main gardening blog, please click the image. 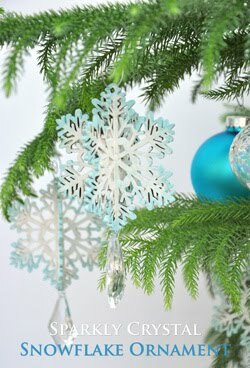 I am an artist and a designer/stylist living in Huttonville, Ontario. Welcome to my blog. © all text and images are copyrighted by Three Dogs in a Garden 2016. Simple theme. Powered by Blogger.